Nicole Bennett’s late goal put the seal on the 2015 Munster Women’s Under-18 Inter-League for Limerick FC / LWSSL as they defeated close rivals Cork WSSL 4-2 in the decider in Killarney last Sunday afternoon. Limerick made the trip to Killarney Celtic’s grounds hoping to gain revenge for their defeat by Cork in last year’s final, and they had the advantage of a strong breeze in the opening half. Immediately, they set about their task to take the game to Cork, and their early pressure led to a number of corners, which were dealt with by Cork ‘keeper Niamh Ryan and her central defensive partnership of Megan Dennehy and Danielle Burke. Ryan was called upon to be smartly off her line on a number of occasions to snuff out the danger posed by Limerick. The Blues were playing some great football and just past the quarter-hour they went close with a header from Sophie Hudner which grazed the bar. The Limerick attack, superbly led by Eadaoin Lyons, were causing their opponents all sorts of trouble, and the opening goal soon arrived, on 22 minutes, when Lyons’ corner was met by Laura O’Neill who headed in. The defence was solid with Limerick playing controlled football, and they were on top in the midfield battle through Becky Mahon, Claire Kelly and O’Neill. On 32 minutes, after an intricate passing move, Rebecca Joyce was set free on the right and her delivery was connected with by Hudner who doubled their advantage. It got even better for Limerick eight minutes before the break when Lyons’ persistence unsettled Cork and she took full advantage of a mix-up in their defence to make it 3-0. The Leesiders, to their credit, immediately found their passing game and started to put on pressure. They were soon rewarded when ace goalscorer Jade Fox netted with a lob over Ciara McCarthy, just before half-time to put them back in the game. Limerick’s first-half performance had been by far their best of the season, with their passing and movement excellent in an impressive all-round display. Cork started the second period in determined fashion but with Limerick’s defence in fine form it was going to take something special to break through again. But on 58 minutes, it arrived when Fox scored once more, striking to the top corner with a wonderful effort from the right edge of the box. In a very entertaining match there were chances created at both ends, with great displays of goalkeeping keeping it at 3-2. Limerick bolstered their backline with Rebecca Bevan and Niamh O’Mahoney coming on while Mahon moved to the heart of defence. Cork pushed players forward but that left space at the back which Kelly Walsh and Grainne O’Mahoney attempted to exploit on the break. Both went close but again the ‘keeper proved equal to the task, leaving it nervy for Limerick going into the final ten minutes. As the clock counted down, the game became an incredibly tense affair with both sides going close. With three minutes left, Cork forced a corner which led to a goalmouth scramble, the ball eventually poked inches wide of the post to the relief of the large Limerick support. And that proved to be Cork’s last hope of getting back on level terms. From the kick-out, Sarah Fitzgerald picked up possession and found Sarah Lee who set Walsh away on the left, with her cross met by the in-rushing Bennett to finish clinically as they sealed a 4-2 victory. Amidst great excitement, the Cup was presented to captain Megan O’Rourke by Padraig Hartnett of Killarney Celtic and the Munster WFAI. Megan gave an eloquent speech, thanking her teammates and the LWSSL management team. 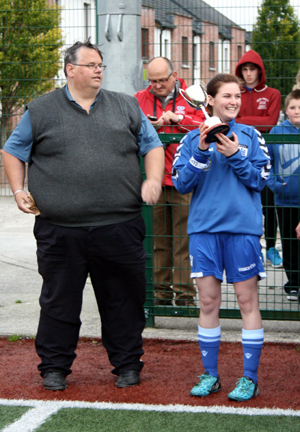 She also commended the Cork WSSL on their sportsmanship throughout the game. 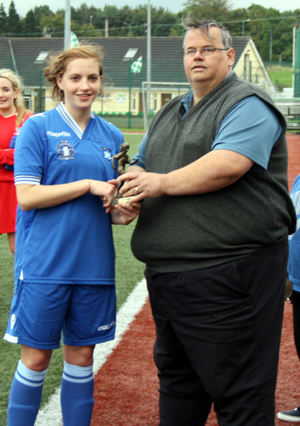 Becky Mahon was named Player of the Match as recognition of her outstanding performance. The LWSSL management were very pleased with the performance of the squad on the day and with their progression throughout the season. The commitment, pride, passion, skill and teamwork shown by the girls were exceptional. The management would also like to thank the other members of the squad who played with them throughout the season but for many reasons could not make it to Killarney on Sunday; Shauna Ryan, Aisling Regan, Grainne Regan, Louise Horgan, Megan O’Brien and Melissa Hayes. LWSSL Squad v CWSSL: Ciara McCarthy, Sabrina McCarthy, Megan O’Rourke ©, Tara Coleman, Sarah Shortt, Claire Kelly, Becky Mahon, Sophie Hudner, Eadoin Lyons, Laura O’Neill, Rebecca Joyce. Subs: Misha Noonan (GK), Grainne O’Mahoney, Niamh O’Mahoney, Nicole Bennett, Sarah Lee, Sarah Fitzgerald, Rebecca Bevan, Kelly Walsh, and injured squad member Kate Geary. 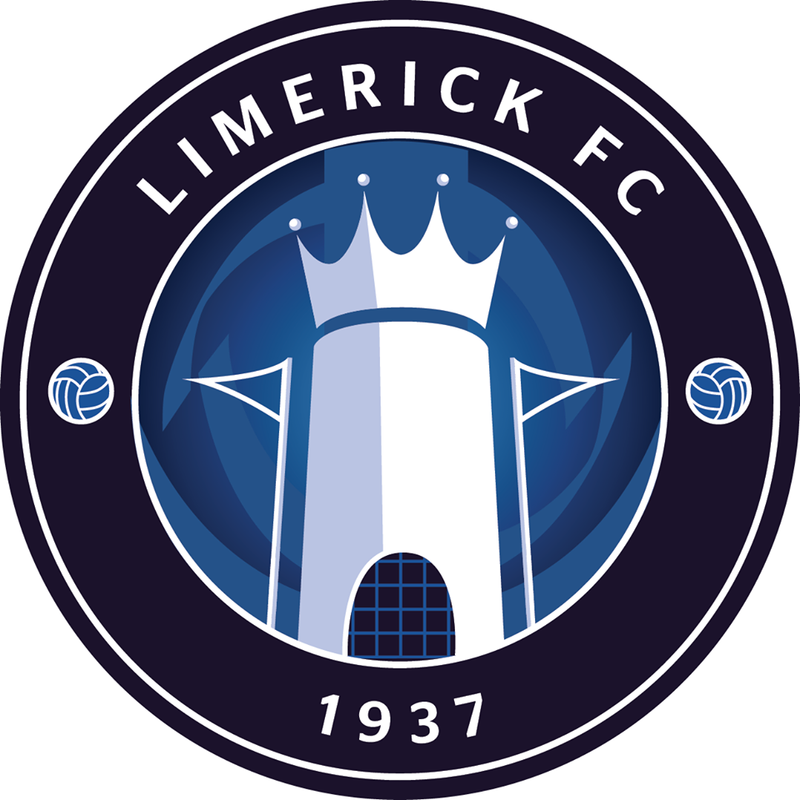 The LWSSL would like to thank Limerick FC for their continued support of the women’s game in the Mid-West Region. They especially would like to thank Kieran Judge, Keith Wallace and John Kennedy for their continued support and a special thank you to Pat O’Sullivan for his words of support, encouragement and good wishes before the game – it was greatly appreciated. The LWSSL would also like to thank Conor Nestor of the FAI for his help and advice throughout the season. Next up for Limerick is the National Under-18 WFAI Tournament which is scheduled to be played over the winter months. 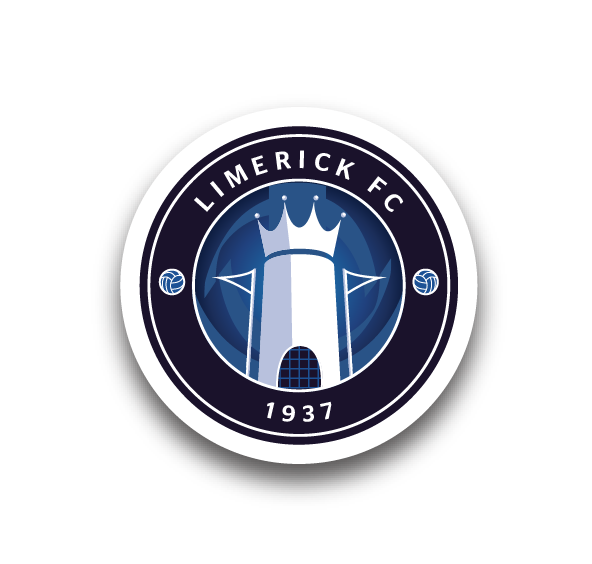 Limerick FC send our congratulations to the LWSSL; manager Declan McDermott, head coach John Lewis, assistant coach Jenni Lyttle, Trevor Lyttle and all the team on a wonderful achievement!